Three questions with Nancy Guberti, owner of Total Wellness. I started my own practice in Greenwich CT over 18 years ago with one mission in mind, to assist others in reaching optimal health. After my son was diagnosed with a liver disorder and multiple food allergies, I had to utilize functional medicine lab testing to get to the core of the issue and create a customized food and supplement regime to help heal and support his body. Prior to my practice, I worked on research and technology for major financial institutions. I combine my elaborate corporate research experience with my functional medicine nutrition practice offering a dynamic combination for empowering others to live their best life by reaching their optimal health goals. I’m a Functional Medicine Metabolic Specialist, Certified Nutritionist, Gluten Free Casein Free Diet Counselor, Healthy Lifestyle Coach, and Motivational Speaker. Utilizing functional medicine lab testing and extensive health intake consult, I develop individualized treatment regimes customized to one’s health issues. Functional medicine lab testing packages for Dementia Prevention, Autism Related Disorders, GI Functioning & Weight Loss with a focus on the nine steps to Look & Feel Great Method. 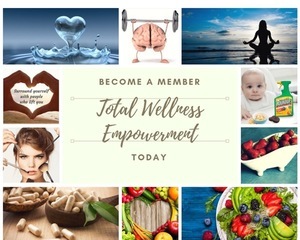 In addition, founded the Total Wellness Empowerment Monthly Membership for individuals, corporations and fitness centers offering the most affordable access to a functional medicine nutritionist. 9 Steps: Look & Feel Great Method Total Wellness Empowerment Monthly Membership for individuals, corporations and fitness centers offering the most affordable access to a functional medicine nutritionist. Anthropologie for client and vendor gifts. Total Wellness is located at 500 W. Putnam Ave. in Greenwich. Visit them online here or call 203-542-7390. Total Wellness tags Guberti Giving!